Fans of RaeAnne Thayne and Debbie Macomber will love this USA Today bestselling author's latest holiday romance about enemies-to-lovers who fall for each other in a small Massachusetts coastal town. Evangeline Christmas will do anything to save her year-round Christmas store, Holiday House, when high-powered real-estate developer Caine Elliot uses his money and influence to push through his competing property next door. When her last desperate attempt to stop him fails, she gambles everything on a proposition she prays the handsome, blue-eyed player can't refuse. Caine agrees to Evie's bargain because how hard can it be to fulfill three wishes on the Angel Tree at Holiday House? The wishes have him reliving the Christmases of his past and taking part in the holiday festivities of Christmas present. But just when he begins to believe Evie might be his Christmas future, dark secrets from his past are revealed. Will the last wish on the Angel Tree be enough to give Caine and Evie the happy ending they deserve? Includes the bonus story, "One Night in Christmas!" 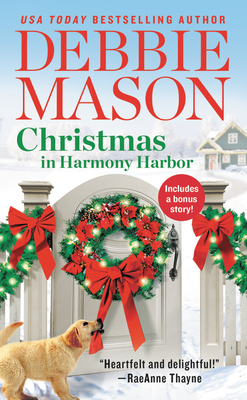 Debbie Mason is the USA Today bestselling author of the Christmas, Colorado and the Harmony Harbor series. Her books have been praised for their "likable characters, clever dialogue and juicy plots" (RTBookReviews.com). When she isn't writing or reading, Debbie enjoys spending time with her very own real-life hero, their three wonderful children and their son-in-law, and two adorable grandbabies in Ottawa, Canada.